Nasdaq-listed cybersecurity company Symantec Corp. announced on Tuesday it had acquired Tel Aviv and Palo Alto-based security company Luminate Security Ltd. Symantec did not disclose the financial terms of the deal, but one person familiar with the matter who spoke to Calcalist on condition of anonymity said it is valued at $250 million. 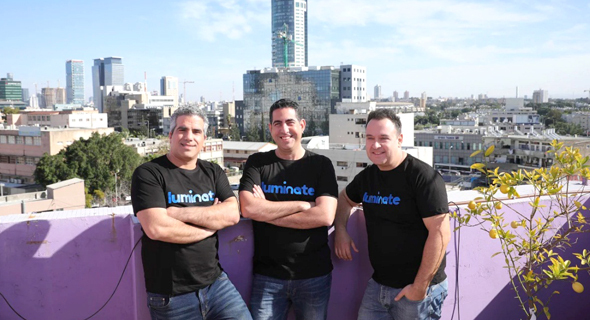 Luminate is the latest in a series of local acquisitions made by Symantec, which bought Tel Aviv-based cybersecurity startup Javelin Networks Inc. in November 2018. In July 2017, Symantec shed $275 million for mobile security company Skycure Inc., and bought Tel-Aviv based cybersecurity startup Fireglass Ltd., which develops safe web browsing technology, for $250 million. Luminate develops universal software that provides secure access to corporate applications on hybrid cloud environments. The company was founded in 2017 by Israeli entrepreneurs Ofer Smadari, Leonid Belkind, and Eldad Livni, all veterans of military cyber units who have worked at Check Point Software Technologies Ltd. and at cloud security startup Adallom, which was bought by Microsoft in 2015. Luminate is an alumnus of Microsoft's ScaleUp accelerator. In March 2018, it received a $14 million funding round from Menlo Park, California-headquartered U.S. Venture Partners and Tel Aviv-based Aleph Venture Capital.